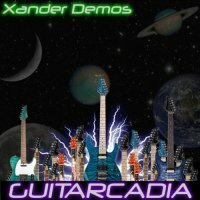 Xander Demos is a guitarist from Pittsburgh, and currently plays for party-rock band ‘Into The Arena’ in his home city, while also fronting his own solo band, and plays over 100 shows a year. This is his first full-length CD, which follows the EP ‘Road To Guitarcadia’, and is produced by Firehouse frontman C.J. Snare. As the title suggests, this is a mainly instrumental guitar-driven record, but thankfully is full of fiery yet highly melodic and smooth passages rather than just a barrage of frantic shredding. Taking influences from the likes of Eric Johnson, Steve Vai, Vinnie Moore and Neal Schon, Xander has incorporated his wide range of musical tastes into the material that makes up this album, and certainly knows how to write a decent melody, and while he is undoubtedly the star, there is still plenty of opportunity for keyboardist Adam Heusey to shine amongst the guitar flurries on the likes of ‘Right Angles’, ‘Nothing Major’ and ‘White Knuckle Driving.’ But in all honesty, it’s the proper song ‘Under A Darkened Sky’ that really made me sit up and take notice, it’s an eight-minute Metal epic with an old-school riff, and demonstrates that Xander doesn’t have to just play solo after solo. Where this album really lets itself down is with the choice of cover versions. Covering Don Henley’s ‘Boys Of Summer’ is a risky move for a start, as in my humble opinion it is one of the finest songs ever written and giving it a Heavy Metal makeover is a sacrilegious step too far for me. But then it gets worse, as the album closes with an instrumental version of Chris De Burgh’s ‘Lady In Red,’ which is as cheesy as it gets. Seriously, this is not Rock’n’Roll! 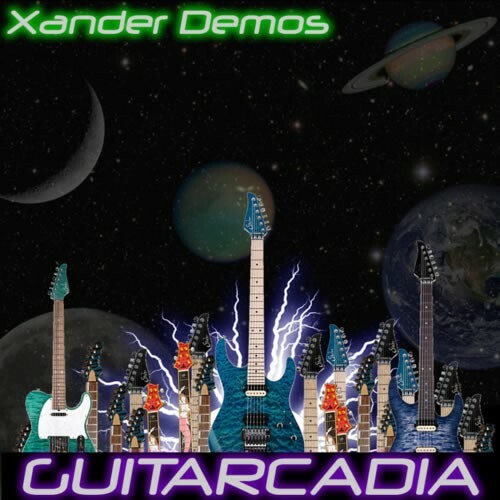 Xander Demos is clearly a highly talented guy, and fans of guitar instrumental albums should lap this up, but I think that more song-orientated material suits him better – as long as he picks better songs to cover!